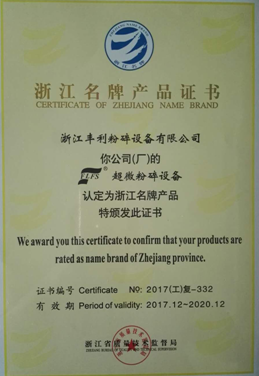 Recently, the national high-tech Zhejiang Fengli Pulverization Equipment Co., Ltd. FLFS brand "superfine crushing equipment", once again passed the re-evaluation of Zhejiang Quality and Technical Supervision Bureau, identified as "Zhejiang famous brand products", valid until December 2020. 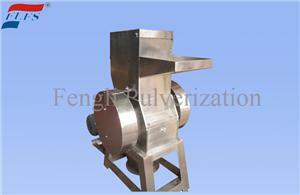 This award has been won for six consecutive years, which is the only one in China in the grinding field. It is reported that Zhejiang famous brand products refer to the "specialized and special new" leading products that meet the industrial development focus of "Made in China 2025 Zhejiang Action Plan", highlight innovation drive and resource conservation, master core technology, have independent intellectual property rights, and save energy and protect the environment. Zhejiang Fengli, which enjoys the reputation of “China Mill Expert”, built the first provincial-level key powder engineering high-tech R&D center in China's powder equipment industry in 2000. Based on the leading edge of powder technology, it relies on the introduction of advanced German powder technology. China's national conditions, digestion and absorption of a number of unique intellectual property rights and domestic leading technology and products that have reached the international advanced level, successfully launched a series of ultra-fine grinding equipment with high technology content, the grinding fineness is increased to micron, sub-micron level Even at the nano level, the “FLFS” brand was launched in the powder industry, and the “Fengli” enterprise name was recognized as a well-known trade name in Zhejiang Province. In the most popular product selection activity in the powder industry, Fengli research and development of "CGM1000 ultra-fine roll mill" "HWV series turbo mill" for three consecutive years (2013, 2015, 2017) won the "powder industry's most concerned Product Award". 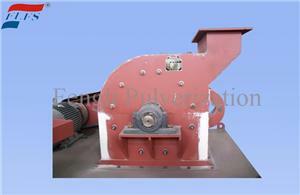 The draft industry standard "Test method for mechanical impact type ultrafine pulverizing equipment" and "Fluidized bed jet pulverizer" was approved by the Ministry of Industry and Information Technology and implemented on September 1th, 2016, thus ending the JB standard for ultrafine pulverization equipment industry in China. History. Zhejiang Fengli has long been paying attention to the key areas of resource recycling, combining advanced ultra-fine powder technology with green environmental protection industry, and is committed to the research and development of ultra-fine powder equipment and green environmental protection equipment. Its innovative technology has produced fruitful results: the development of “ The complete set of waste plastic composite materials recycling and processing equipment was selected as "the list of major environmental protection technology equipment encouraged by the state"; the research and development of "waste plastic composite materials recycling processing equipment and comprehensive utilization technology equipment" was selected as "Zhejiang high-end equipment manufacturing development key areas The project "Development of graphite sphericalization complete sets of equipment and technology for lithium battery anode materials" was included in the special technology innovation plan of Zhejiang Province. 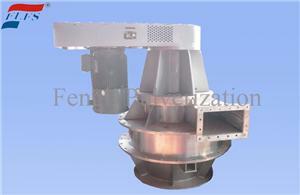 Zhejiang Fengli “Superfine Pulverizer Equipment” brand won the title of “Zhejiang Famous Brand Product” in 2002, achieving the breakthrough of China's powder equipment industry brand name zero. In the past 16 years, with excellent product quality and efficient energy-saving effect, it has been sold all over the country and entered the international market. It has become a designated supplier of powder engineering equipment in China by many Fortune 500 companies such as the United States, Germany, Russia and Japan. . At present, Zhejiang Fengli has become a leading enterprise in the field of powder equipment in China with large scale, strong strength, full variety and new products. 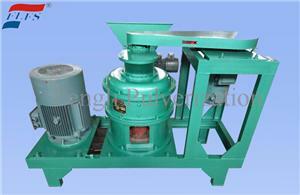 It is well known as the Secretary General of the National Particle Characterization and Separation and Screening Committee Superfine Crushing Equipment Working Group. Complete sets of ultra-fine powder equipment and green environmental protection equipment production bases at home and abroad.